When you’re starting up a new gardening business, one issue you may need to consider is whether you need to register for VAT. Even if it’s not something you’re going to need to do immediately, here’s some useful information to help your understanding of VAT and when registering is essential. The acronym VAT stands for Value Added Tax and it’s a form of tax that is charged on many goods and services in the UK. 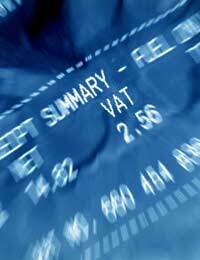 In order to charge Value Added Tax (VAT), a company has to be a registered VAT seller. VAT is often added onto the cost of gardening products or services, often without specifying the extra price to the buyer (but the seller will be aware of it), and it’s then reclaimed after goods and services have been purchased. All the large gardening and landscape gardening businesses and other companies in the UK will all be paying VAT, but as it works on the basis of how much your turnover each year is, you may not yet be eligible for VAT. For example, if you’re a new gardening or landscape design business and operating on a small scale, then you may not need to worry about VAT. That’s because HM Revenue & Customs have a set figure that businesses have to reach if they are to register for VAT. The current cut-off point is if your turnover for the last 12 months is £67,000 or over, then you must register for VAT. It’s important to keep a tally of your turnover, or what you predict it might be, as you have to register for VAT if you think your turnover may go over this limit. If you don’t do so, you could end up having to pay late registration penalties. If your turnover is going to reach the current threshold of £67,000, or is likely to be approaching it, then it’s time to get organised and register for VAT. The registration process is relatively straightforward, with most businesses only needing to complete one form. The form you need to ask for is known as VAT1. Once you are registered, you need to file a VAT return each year and ensure your VAT is all paid up. It’s also possible to apply for VAT online, which saves the need to fill in paperwork by hand. It’s also quick and easy to do and means that you can subsequently file your VAT return online each year. In fact, things will be changing in 2010. From then on, if your turnover is £100,000 or more, or if you’re newly registered for VAT, it will be compulsory to file your VAT return online and pay VAT electronically. So if your business figures are likely to match these requirements, you may as well get used to doing it online from now onwards. If tax, financial issues and money matters makes your head spin, and you much prefer to take control of all the practical and selling aspects of your business, then it’s definitely worthwhile employing an accountant or financial advisor to help. They’ll be able to take control of the VAT registration process, and guide you through all you have to do each year. It can take away a lot of the stress, especially when you’ve never dealt with VAT before, and can prove to be a very beneficial approach to take.